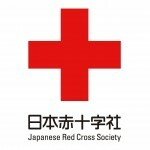 My heart goes out to Japan as the country tries to recover from the devastation. But we can all help! Text REDCROSS to 90999 and donate only $10 to the Red Cross. Tell your friends and family. Tweet it to your network. It’s so easy. The $10 will be added to your next phone bill and honestly, you’re not even going to notice! Can you imagine how much money can go toward the relief efforts if we all gave? Do it now.